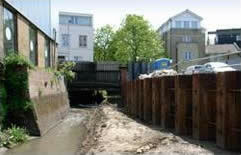 With an overall budget in excess of £20m the River Quaggy Flood Alleviation Scheme was the largest of its kind in the UK during 2006/7. 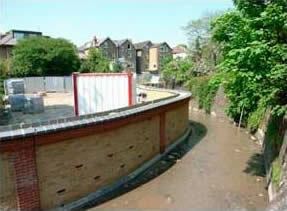 The scheme provides flood protection for the densely populated flood plain of south east London through an extensive programme of river course and bank strengthening measures in Lewisham and Lee Green, designed to a 1 in 70 flood defence standard. DAWSON-WAM installed approximately 170 linear meters of steel sheet piled wall along the river banks to provide flood defences as part of this programme using "W" section steel sheet piles which the company recycled from its DS1/DS2 cofferdam pile extraction programme at Canary Wharf. Phil Stephens, project manager for the client, the Environment Agency, explains their decision to use reclaimed steel stock, "It is EA policy to use recycled material where we can. There is the double benefit of cost saving and environmental impact reduction. Of course the recycled piles must meet the required design standard. Gauge continuity is checked on every pile by the consultant to ensure that performance is met." 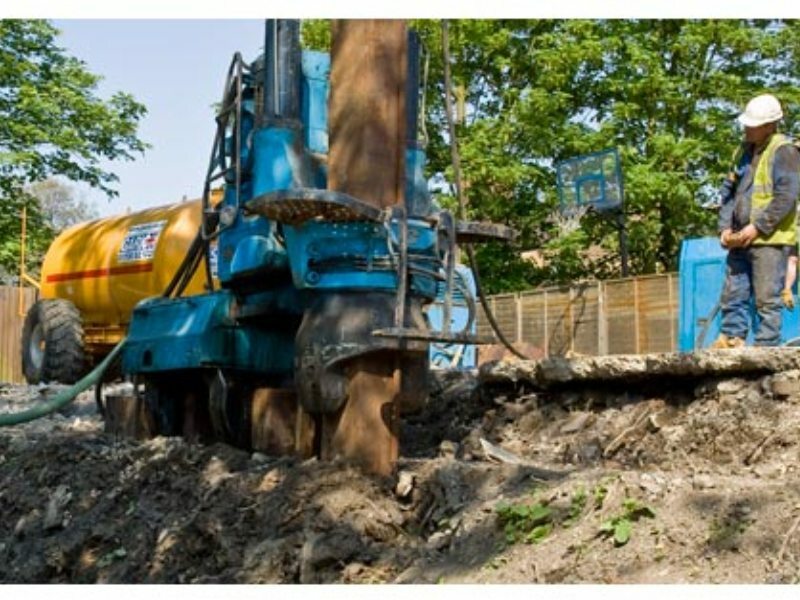 DAWSON-WAM used a Giken Silent Piler to carry out installation in Lewisham, working in frequently cramped spaces at the end of residential gardens. DAWSON-WAM, which received ISO14001 accreditation in January 2003, uses cranes and rigs converted to use bio-degradable oils which, an Environment Agency requirement.